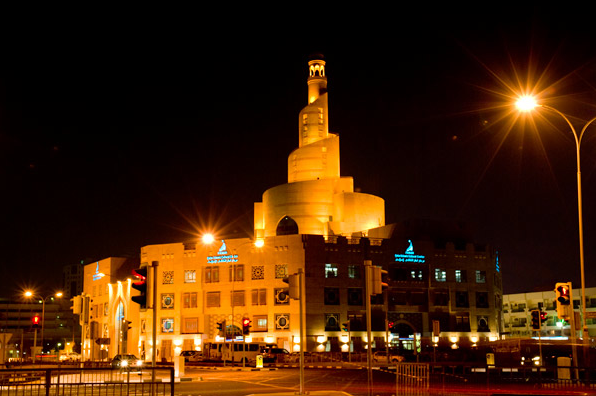 Abdulla Bin Zaid Al Mahmoud Islamic Cultural Center (commonly known simply as Bin Zaid, also known previously as Fanar or Qatar Islamic Culture Center and Spiral Mosque) is a cultural organization in Doha, the capital of Qatar. It is located close to Doha Corniche and is a prominent landmark in the city. The center's most distinguished feature is its mosque which has a unique minaret design. Prior to 2009, Fanar's mosque was the largest in the country. It has since been over taken in this category by Imam Muhammad ibn Abd al-Wahhab Mosque, however, it remains the tallest mosque in Qatar. 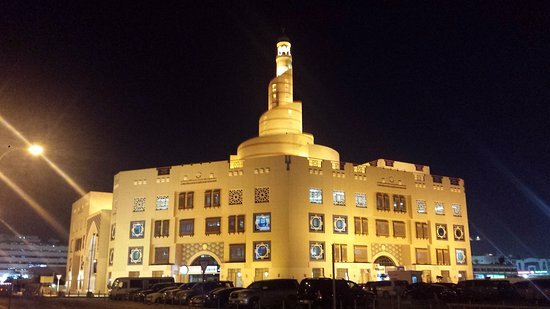 The mosque was named after the famous Qatari Islamic scholar and the founder of the Qatari judicial system Sheikh Abdulla bin Zaid Al-Mahmoud. The name was given by the Emir of Qatar to commemorate the memory of his achievements during his tenure as the supreme judge of Qatar.